A human resource software is a critical phenomenon for any organization as it helps the companies to manage their employee information and benefit plans in the most structured and streamlined fashion. It helps the HR professionals of an organization to approach the company activities in a professional and efficient outlook. In most cases, the Human Resource professionals face the shortage of resources and the constant change of employee data resulting in data redundancy and risk of faulty decisions. Taking into consideration, it is very important to have a strong, interactive and responsive software that can successfully and smartly handle the HR department of an organization. But often the choice of wrong software leads to paralyzing or degrading the efficiency of the existing database. So the question is how an HR professional or an organization select the right software for executing their departmental activities pertaining to human resources? Here are the keen elements that a company or an individual should look before selecting the HR software for their organization. First and the foremost element that has to be taken care of while choosing the HR software is, always choose that application that perfectly fits into your business workflow. Once you are well equipped with the necessities and capabilities of an organization, it will be easy for the company or individual to choose or understand the degree of flexibility and scalability that the HR software provides. It helps the HR professionals to determine whether the chosen software can sufficiently manage all the requisites like exporting employee data from multiple excel sheets, databases or other documents and how responsive it can act in availing with real-time information. Secondly, as information comes from both authorized and unauthorized sources, the software should be self-sufficient with filtrations. The company should always opt for the HR software that has the capacity to filter information from multiple sources and later update them. Automation of the updated information can help a lot in segregating or eliminating the billing and eligibility issues when it comes into process especially the recruiting. For a company to function in proper, the employee or workforce should be active, self-directed, motivated, committed and most significant he/she should be happy and accomplished. With a larger workforce, it is very difficult for the HR manager or HR professional to evaluate, monitor and track the large crowd of employee requests and processes. But a software with robust feature like enrollment engine can consistently evaluate the enrollment activities and also timely apply the set of rules and guidelines for meeting the exact eligibility and desired commitment from the side of the employee. Therefore one should choose the HR software that can accommodate any eligibility rules that the company possess. Along with employee recruitment, payroll management is an equally important function that any HR software should hold. With payroll management system, the HR professionals can easily make a change to pay scales, monitor the working hours of employee and also make sure the employee is availed to all his personal allowances and other mutual benefits from the organization. By choosing the right HR software, the human resource professionals can obtain greater efficiencies when data of employee information are obtained in real-time. As many households are prone to internet connectivity, an HR system can lead to employee self-services saving time and cost to the company. Therefore a company should always choose a good and interactive self-service system that provisions the employee to seamlessly enter the information about self and the dependent. Apart from the above, there are few more essential things that one should look after before choosing the HR software. Here are the listings below. After the updating of filtered information, an HR software should provide themselves with an option for the HR manager to authorize or approve all the updated data before getting transmitted to the workforce. This feature inversely determines the accessibility limit of employees to the database which is very important for a structured business culture. Secondly the reporting capabilities of HR software, how pragmatic they are offering multiple views on a single matter and that too in different formats like the spreadsheet, PDF, HTML etc. For an HR software, the assessment ability is highly critical as it draws the conclusion or decision making in a business. An HR software should be accomplished and sophisticated, that HR Manager can seamlessly assess the specific process, plans, enrollments, actions, and changes that are happening within the employee demography. Time and tide wait for none. And for any company time and money is the most chanted mantra for achieving their goal. Therefore before choosing the HR software one should look at whether the HR software helps in saving the time of HR professionals via automating and monitoring the large extent of activities. An HR software should be equipped to process the employee and company information in batches, along with managing the company notifications and reminders and also do efficient reporting saving a large volume of time and effort as far as manual work is concerned. Always look for an HR software that offers the high degree of flexibility in communicating within the department and outside the community. An HR software should be robust enough to provide multiple levels of communication modes like mass emailing, electronic bulletin boards, filtrations based upon location, department, insurance plans, enrollment status, retirement status etc. With better-communicating software, one can target the right and potential customers. To next make sure whether your HR software provides with checks and balances. This feature is utmost important to efficiently carry forward the tasks like accurate invoices, limited investment resources like time and money, real-time delivery of employee enrolments and also the confirmation of employee eligibility. Mere filtration of data doesn’t certify the qualities of an HR software. One should choose the software on the basis of information that the software exchanges with carriers. 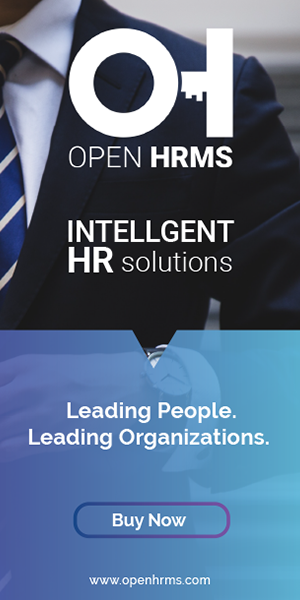 I depend on several factors like the ability of HR software to gather the initial data implementation, integration with current information exchange system, ability to coordinate the interaction of data on the timely basis(daily/weekly), revising of ongoing processes and also the software ability in forecasting for a proactive relationship. The degree of courtesy extends towards the customer determines the expansion and growth of any business. There an HR software’s proficiency is determined through the level of customer service it provides. An HR professional should estimate the degree of assistance provided by the software to deliver the best customer service via maintaining a strong database, triggering online chats, email support, conversations with a live person etc. An HR should always assess the implementation cost of an HR software as it can directly affect the company resources and future productivity. All the expenses including the annual, monthly, and one-time charges should be assessed. The need for HR software is constantly increasing in the market. Therefore organizations should always choose an HR system that helps in growing the company needs.